^ Uefa suspends Portuguese trio. 2 July 2000 –通过bbc.co.uk. ^ 南韓爭議事件簿》02年世界盃 疑靠買通裁判進4強. 2015-07-11 –通过自由時報. ^ Portugal 1–0 Holland. BBC Sport. 25 June 2006 [19 June 2010]. ^ Borzello, Joe. 2014 FIFA World Cup: Germany dominates Portugal, 4-0. CBS Sports. 16 June 2014 [16 June 2014]. ^ Portugal coach Paulo Bento leaves role after shock Albania defeat. BBC Sport. 11 September 2014 [11 September 2014]. ^ Croatia vs Portugal Euro 2016 match report: Ricardo Quaresma's late strike settles dreadful encounter. 25 June 2016. ^ Lewandowski finally gets off the mark, but Portugal beat Poland on penalties. 30 June 2016. ^ Ronaldo breaks Welsh hearts and sends Portugal to Paris. 6 July 2016. 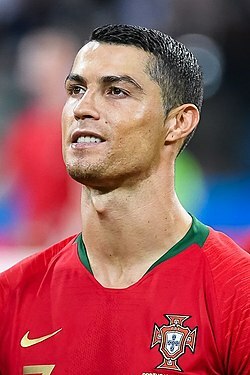 ^ Portugal 1 France 0. BBC Sport. 10 July 2016 [11 July 2016]. ^ Cristiano Ronaldo’s tears of sadness turn to joy on Portugal’s greatest night. Guardian. 10 July 2016 [11 July 2016]. ^ Kell, Tom. Portugal spoil France's party with extra-time win. UEFA.com (Union of European Football Associations). 10 July 2016 [10 July 2016]. ^ France forward Antoine Griezmann wins Golden Boot. UEFA.com (Union of European Football Associations). 10 July 2016 [10 July 2016]. ^ UEFA EURO 2016 Team of the Tournament revealed. UEFA.com (Union of European Football Associations). 11 July 2016 [11 July 2016]. ^ Marcelo condecora jogadores com Grau de Comendador da Ordem do Mérito. SAPO Desporto pt. 10 July 2016 [4 January 2017]. ^ Full Time Summary – Portugal v Iceland (PDF). UEFA.org. Union of European Football Associations. 2016年6月14日 [2016年6月14日]. ^ Full Time Summary – Portugal v Austria (PDF). UEFA.org. Union of European Football Associations. 2016年6月18日 [2016年6月18日]. 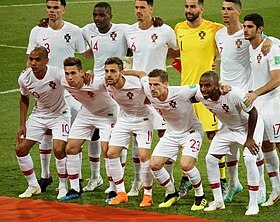 ^ Full Time Summary – Croatia v Portugal (PDF). UEFA.org. Union of European Football Associations. 2016年6月25日 [2016年6月25日]. ^ Full Time Summary – Poland v Portugal (PDF). UEFA.org. Union of European Football Associations. 2016年6月30日 [2016年6月30日]. ^ Full Time Summary – Portugal v Wales (PDF). UEFA.org. Union of European Football Associations. 2016年7月6日 [2016年7月6日]. ^ Full Time Summary – Portugal v France (PDF). UEFA.org. Union of European Football Associations. 10 July 2016 [10 July 2016]. 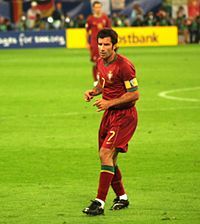 ^ Played for Portugal national team. [16 June 2015]. ^ Portugal national football team goal scorers. [25 March 2016].